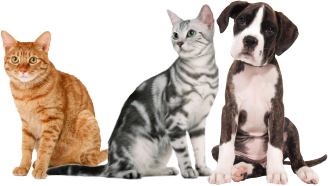 Animal Emergency Care is an after-hours veterinary hospital providing a high standard of emergency and overnight care to small animals. We operate out of Perth Veterinary Specialists at 305 Selby St North, Osborne Park and integrate with the day-time specialists to provide streamlined care to our patients. The hospital is open 6pm to 8am on weekdays, 24 hours on weekends & public holidays, and is staffed by experienced vets and registered vet nurses. All walk-ins and referrals are welcome. Upon arrival our patients are seen in order of urgency. We will provide a rapid assessment of all emergency cases and provide stabilisation, monitoring, and critical care/resuscitation if required. Please Note: Animal Emergency Care does not offer routine general practice service such as vaccinations, dentals, and desexings or sell food or merchandise.